Protein is something that many of us do not get a lot of, when in fact its something that is extremely nutritious for our bodies and makes us stronger and if we’re looking to loose a few pounds, it’s safe to say protein will be your best friend! Funnily enough our hair and nails are mostly made of protein. Our bodies use protein to build and repair tissues. Protein is also used to make enzymes, hormones, and other body chemicals. 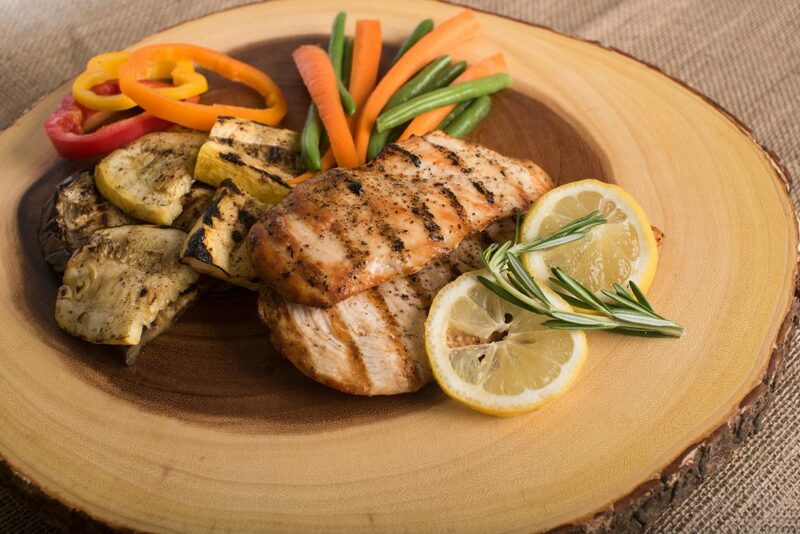 Protein is an important building block of bones, muscles, cartilage, skin, and blood. Eggs are perfect to add to pretty much anything, or you can just have them on their own, whichever satisfies you the most. They’re among the healthiest and most nutritious foods on the planet. Loaded with vitamins, minerals, healthy fats, eye-protecting antioxidants and brain nutrients that most people do not get enough of. Whole eggs are high in protein, but egg whites are almost pure protein. 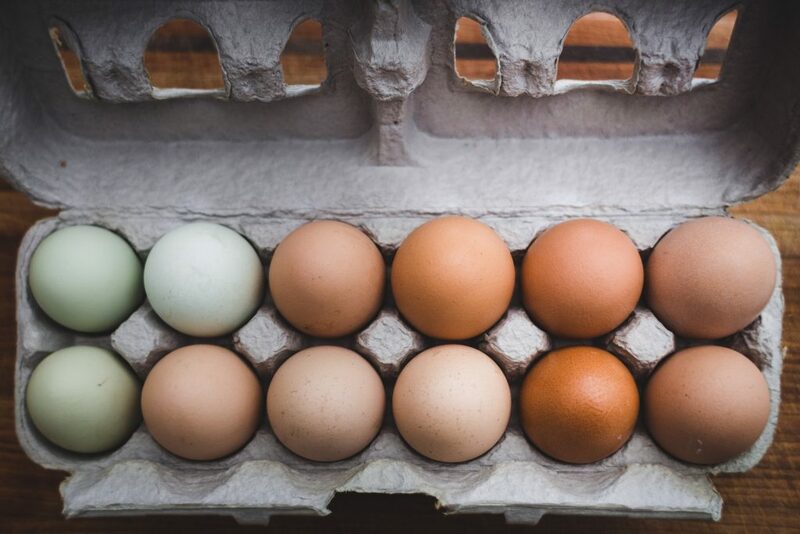 Add them to your salad, make a low fat scrambled egg or perhaps an omelette, having boiled eggs on their own is also a quick and healthy snack to start your day! Chicken is literally the easiest thing to cook and you can make so much with it and it tastes delicious! It’s a popular protein-rich food and if you eat it without the skin, the majority of it is protein. It has many nutrients from iron, vitamin A, vitamin B2, B3, B5, B12 and Zinc! It’s low in calories, cholesterol, sodium and fat, which is perfect for those looking to loose some weight or just in general looking to add more protein into your diet! You can do many things with chicken, make a stir fry, chicken jambalaya, curries, low fat fajitas wraps and add extras if you want. It may not tickle everyone’s fancy but its certainly high in protein and rich in a lot of nutrients, so what’s not to love? Although its classed as a ‘fatty’ fish, it doesn’t mean its bad for you. It may reduce risk factors of several diseases, as well as it being super tasty! 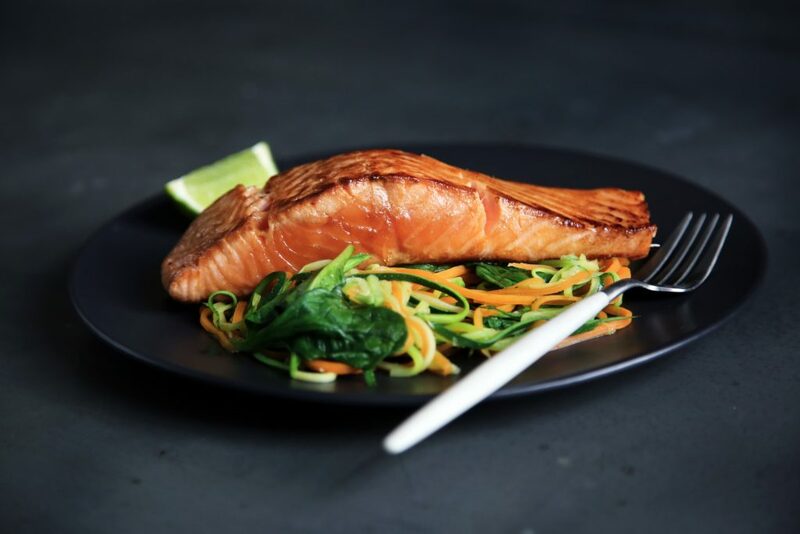 It’s rich in omega-3 fatty acids, high in pretty much every B vitamin, it has potassium, selenium and can help you loose weight, so honestly start cooking up a salmon! Cooking salmon and adding a few herbs and spices, will make it taste better as well as having sides like asparagus, new potatoes, different types of vegetables. Having it in sushi is common or even having it with scrambled egg to get even more protein! Tempeh is a soy product that’s a popular vegetarian meat replacement. It can be a nutritious addition to your diet. 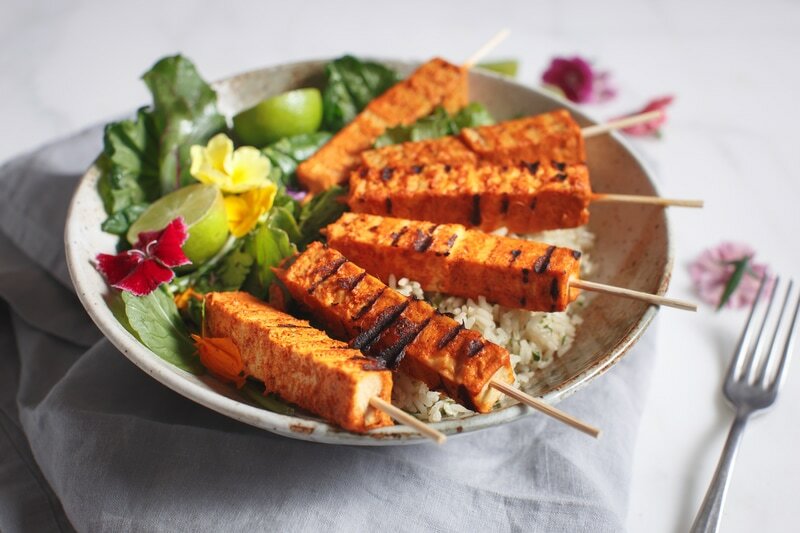 High in protein, probiotics, and a wide variety of vitamins and minerals, tempeh comes with many health benefits as well as being high in protein. Those with a soy allergy should avoid tempeh all together and for some you may not want to eat to much of it especially if you suffer with a thyroid function. You can make tempeh bacon, crispy maple-dijon tempeh sandwiches, tempeh gyro lettuce wraps and easy BBQ tempeh. Quinoa is a grain with a high-protein content, and is complete protein. Cooked quinoa contains 8g of protein per cup. It is rich in a lot of nutrients, including magnesium, iron, fibre and it’s also highly versatile. You can add quinoa to a lot of foods, which again is the best way to get extra protein in your foods. You can cook it in a vegetable or chicken broth, add herbs such as thyme, basil or oregano or even cooking it in oatmeal and adding fruit, it makes a perfect breakfast or dinner! A delicious and nutritious high-protein snack, consisting of cottage cheese and veggies wrapped inside turkey slices, yummy! 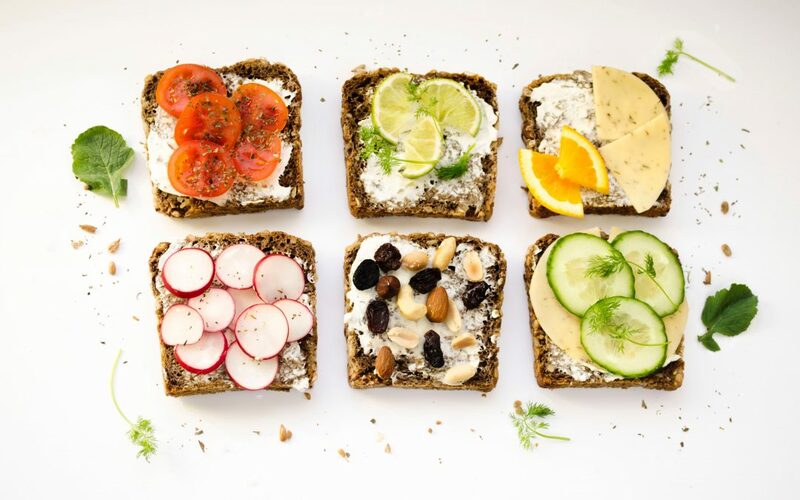 They are essentially a sandwich without bread, which is a healthier alternative. 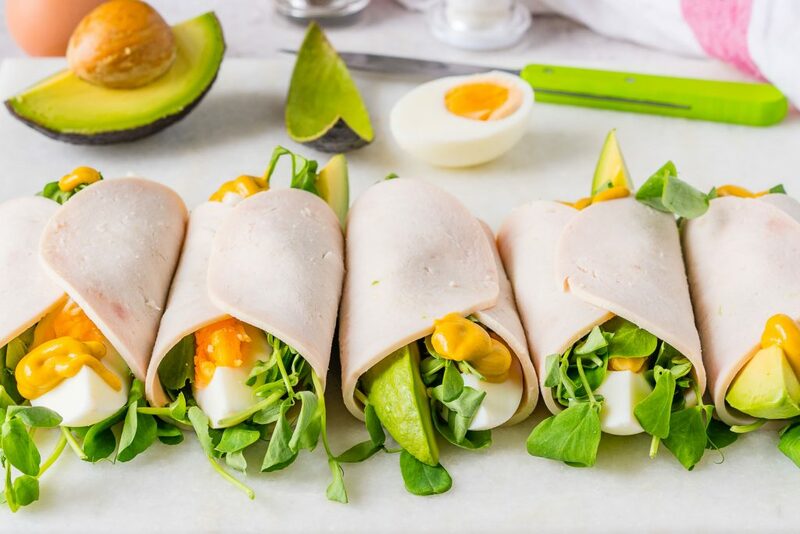 Snacks that are high in protein and low in carbs, such as a turkey roll-up, have been proven to improve blood sugar levels. You can make them really easily, by placing turkey breast slices on a plate, spreading a teaspoon of low fat cream cheese and placing a pickle or strips of cucumber and a tomato on a slice of turkey and rolling it up like a wrap, if you want another veggie then feel free to add what you like! Greek yogurt, is the ideal and healthy high-protein snack, with around 20g of protein in a one cup serving, it has been shown to be more filling than other yogurts with lower protein contents. As well as this, it’s high in calcium, which is important for bone health. 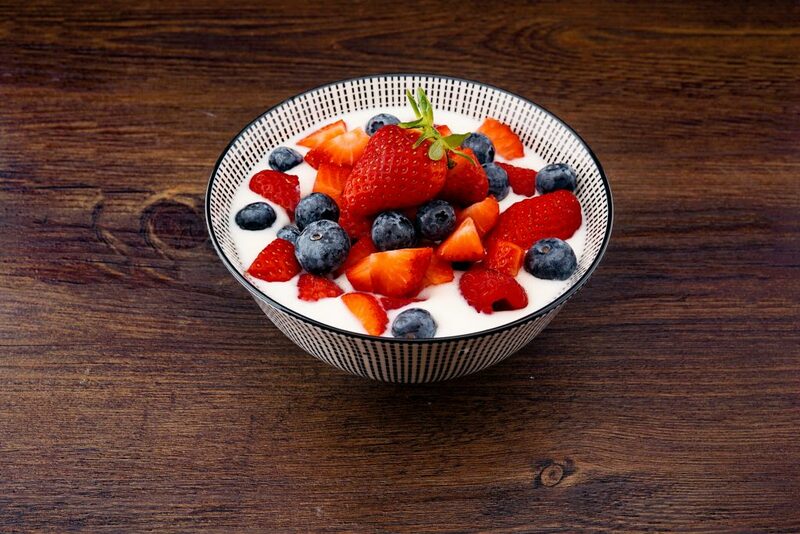 You can add fruits to the yogurt to give it a more sweet taste, or perhaps a low fat honey will do the trick! 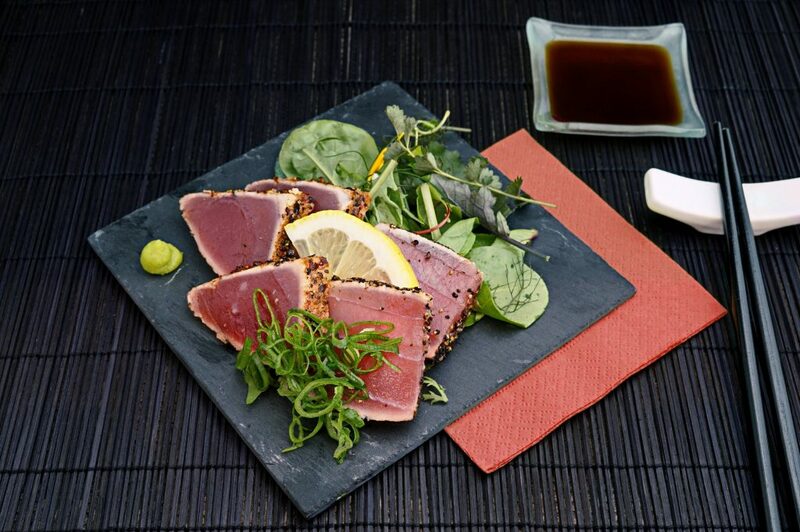 Tuna is loaded with protein, one cup contains around 39 grams of protein, which is great and makes it extra filling. It’s high in B vitamins and selenium, and contains a lot of omega-3 fatty acids. Tuna is a nice touch to add with different foods, such as pasta, or a tuna sandwich, you can get tuna steaks which are yummy and nutritious or simply add it to a salad! 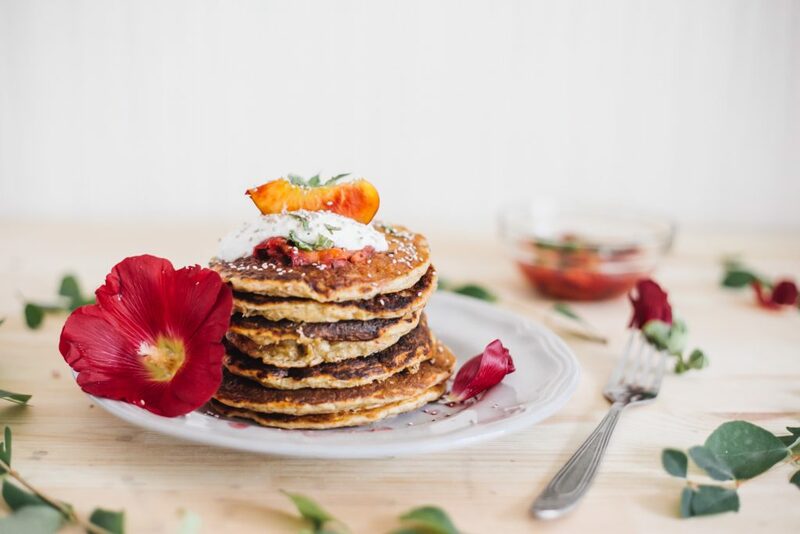 I’m pretty sure there’s always a time that we just really fancy something sweet and scrumptious for our breakfast, well pancakes are not always the healthiest, depending on what you put on them, but they can definitely satisfy a sweet tooth. Protein pancakes are a better way of eating them, as they’re actually more filling, because of the protein added, if you add some bananas, strawberries and some low calorie honey then it will make a tasty breakfast! 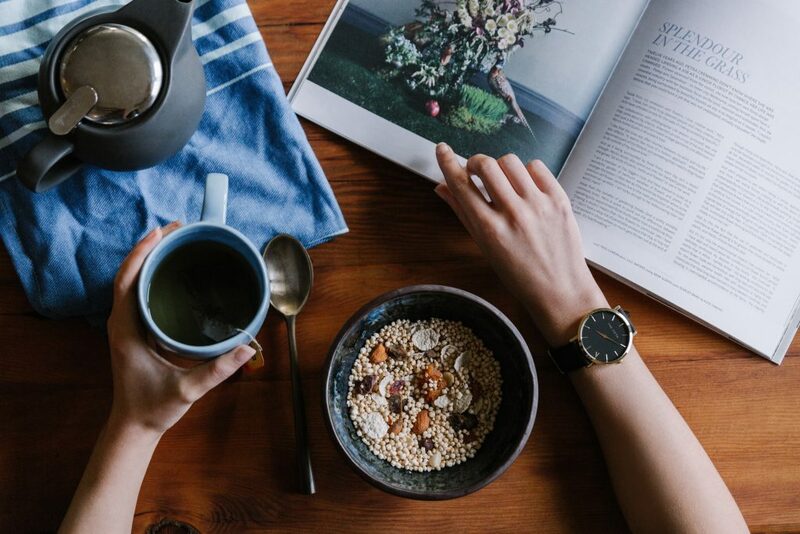 Any protein rich breakfast, is great to add to a diet especially when trying to loose weight as it helps aid weight loss and keep you fuller for longer, whilst enjoying the treats that you like just in a healthier form! So get your kitchen packed up with all these tasty protein goodies and get cooking and get used to feeling full more throughout the day, which will stop you from snacking on them unnecessary foods!